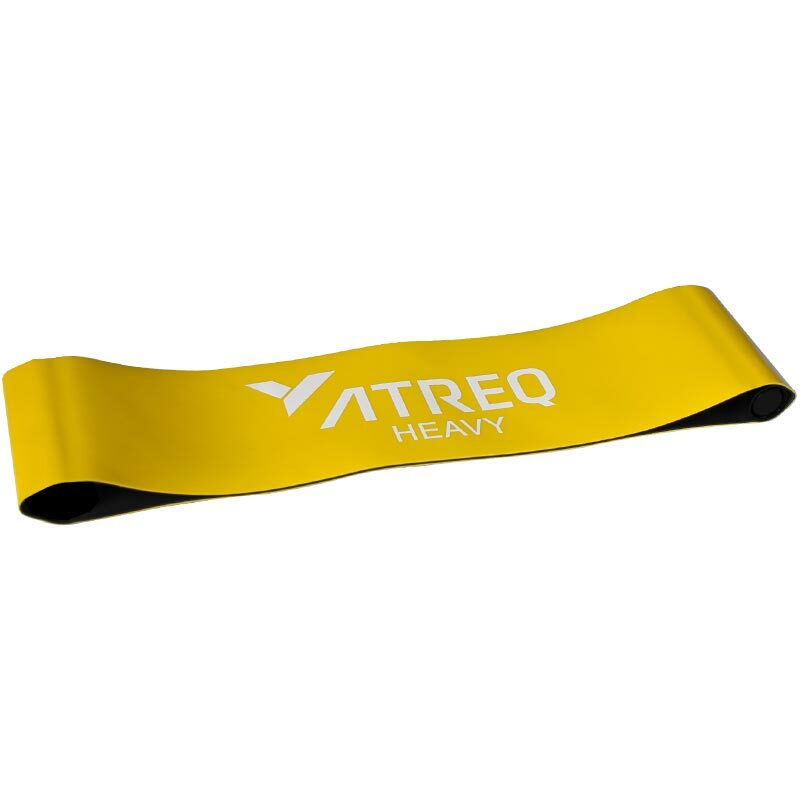 ATREQ Heavy Mini Loop Band 15-18kg are professional grade flexibility and strength workout Bands. These simple and easy to use resistance bands can effectively improve muscle strength, physical activity ability, flexibility and stability. The versatile bands are ideal for lateral movement exercises, hip and glute activation, and shoulder stabilization. Suitable for fitness, yoga, cardio, strength training, crossfit, calisthenics, bodybuilding, pilates, and physical therapy. Yellow (Heavy) 300 x 75 x 1mm - 15-18kg total resistance. 30cm long (60cm loop) x 7.5cm. Light and portable for travel and packing in a workout bag. High quality 100% natural latex construction.